There is no debate that driving while intoxicated is incredibly dangerous, but unfortunately, millions of Americans will get behind the wheel intoxicated each year. According to the Centers for Disease Control and Prevention (CDC), over one million drivers are arrested each year for driving under the influence of alcohol or drugs. Surprisingly, this only represents 1% of the over 111 million self-reported episodes of alcohol-impaired driving among adults each year. Just two alcoholic drinks can begin to impair driving, as drivers begin struggling to perform two tasks at once and have decreased visual function. By the time a driver has reached the legal limit for alcohol, they are struggling to track moving objects, have impaired perception, slower reaction times, and decreased ability to make decisions. Drunk drivers have a difficult time controlling the steering wheel, staying inside the lanes, and braking appropriately. Driving while intoxicated doesn’t just put the driver at risk, but puts everyone on the roadways at risk. This includes the drunk driver’s own passengers, other drivers, pedestrians, and motorcyclists. Drunk driving accidents often cause catastrophic injuries because drivers are not in control of their vehicles. Drunk driving accidents kill over 10,000 Americans each year, accounting for nearly one-third of all traffic fatalities in the United States. Victims in drunk driving accidents often suffer very severe injuries, including traumatic brain injuries (TBIs), broken bones, neck and back injuries, spinal cord injuries, and paralysis, among others. 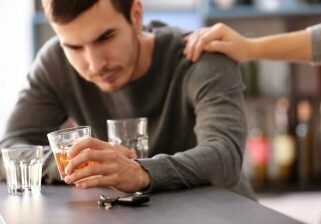 Many victims of drunk driving accidents not only need emergency medical treatment, but will also require extended hospital stays, one or more surgeries, specialty medical equipment, physical therapy, and long-term use of medications. Because of the extensive injuries associated with drunk driving accidents, victims are often unable to work, resulting in lost wages. For some victims, injuries are permanent and diminish or remove the possibility of future earning capability. If you or someone you love was injured or killed in a drunk driving accident, you’re going to need an experienced lawyer by your side. While many drunk drivers are charged criminally, this doesn’t help compensate victims from the accident. Call Sahadi Legal Group today for a free consultation to discuss your case. We work on a contingency fee basis, meaning you won’t owe us anything unless we help you recover compensation.